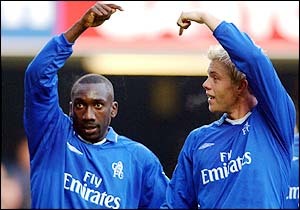 The formed a pretty good strike partnership in the Premier League, and both of them had their best years in Chelsea, and who wouldn't? With Gianfranco Zola just behind you! However, Mourinho wanted more- he realised they could not get him the big honours the Russian boss dreamt of! 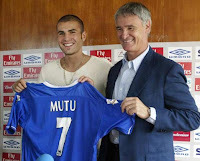 Adrian Mutu, after a £15.8 million switch from Parma, started his Chelsea career brightly with four goals in three games. However, he faded gradually until that fateful day, when he failed a cocaine test. 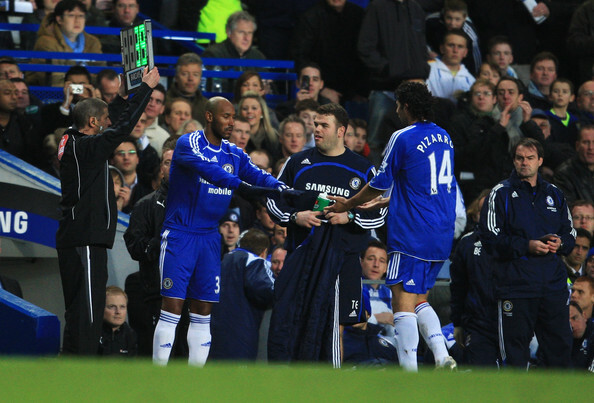 He was immediately released by Chelsea, and a lawsuit followed. Mutu was ordered to pay Chelsea €17 million, which, as a Chelsea supporter, even I find very harsh. The case is still not settled. Mutu eventually played for Juventus and then, a good spell at Fiorentina, eventually fading out of the footballing world. Had Chelsea been a bit more patient with him, who knows what rewards it could have reaped? Take the case of Rio Ferdinand. 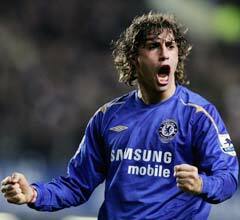 Crespo was never popular in Chelsea, with just a single proper season. After Mourinho took over, he was sent back to Italy for a loan, but recalled the following year as Chelsea were short on strikers. He moved back to Italy again the next year on a loan, and then a permanent transfer. He would still be remembered for his two seasons in the Blue jersey, scoring 25 goals in the process. What can I say about him? I have a detailed post on his time in London here. Signed for £5.3 million, and sold for the exact same amount a year later, he is someone who didn't make much of an impact, scoring 7 in 41 games in his lone season. He, however, described his time at Chelsea to be the best in his career in a recent interview! Signed from Feyenoord, the Chelsea no 21 could never cross the reputation of an impact substitute, and make it to a regular place in the starting XI. He scored 59 goals and assisted 40 others in his 250 odd appearances for Chelsea, most of them coming off the bench. Left on a free transfer to Lille in the summer of 2012. Probably the right player at the wrong time and the wrong manager. Signed at the peak of his career from AC Milan for £30.8 million, breaking the English record, his career was just downhill from there. Scoring on his debut in a Community Shield loss to Liverpool, he was never in good relations with Mourinho, which probably led to his sacking! He had an unsuccessful loan spell at Milan, before returning to his childhood club, Dynamo Kyiv, where he ended his career. 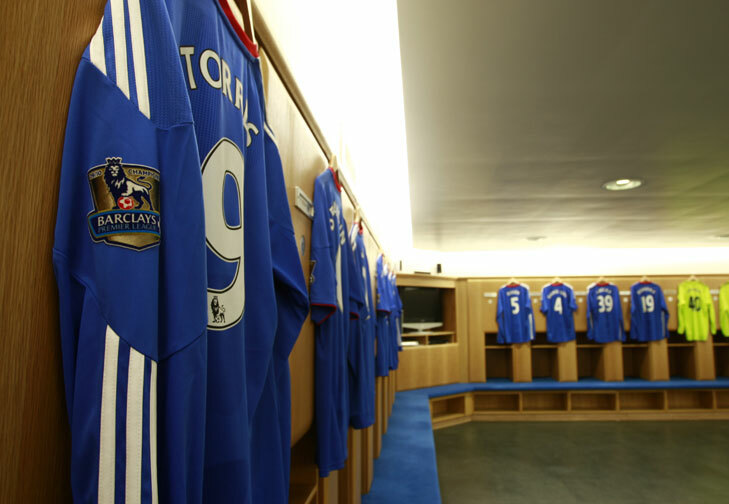 Although his Chelsea career wasn't a success, he had a few eye-candy goals, nonetheless. He seemed the real deal when signed on a free transfer from Bayern Munich in 2007, but couldn't replicate his goalscoring form with Werder Bremen and Bayern Munich in England. He was loaned and then permanently transferred to Werder Bremen, and recently, made a return to the Allianz Arena. Signing from Bolton for £15 million at the age of 29, Nomad Nicolas once said he had found his true home at Stamford Bridge. An impressive spell at Chelsea, which included the Premier League Golden Boot in the 2008-2009 season, came to a rather bitter end as Andre Villas Boas demoted him (along with Alex) to train with the U-21 during his last two months at Chelsea, after he handed a transfer request. A real catch from the Manchester City academy and Carlo Ancelotti's first signing, Sturridge proved his worth on a loan spell to Bolton, netting 8 times in 12 games. Used by Chelsea thereafter primarily as a right winger, he has mentioned time and again that he prefers the centre forward role. Almost switched to Liverpool in the last season, his future at Chelsea remains in doubt. Signed for a record £50 million from Liverpool on transfer deadline day in January 2011, his performances have attracted the attention of every football pundit across the globe. Has failed to explode, even after the emergence of Mazacar- I wonder if anything remains of his Chelsea career! Signed for around £13 million, rising to £18 million with add ons, from Anderlecht, this Belgian giant of a teenager was used very little in his first season at Chelsea. 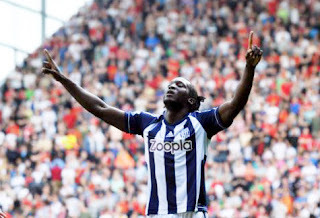 Made a season long switch to West Brom this season, and has impressed. It remains to be seen if he will be called mid season because of the striker crisis in the Chelsea camp. Tracking him since his Porto days, Chelsea must eye him as Drogba's true successor. Tearing the Chelsea defense in the UEFA Super Cup, bids are being prepared ever since. A whopping £48 million buyout clause, Abramovich's hunger may very well lead to his capture if he decides to go for his cheque-book. 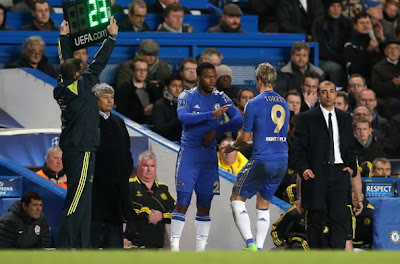 Shevchenko failed because of his strained relations with the manager, Torres' downfall started in the 2010 World Cup, six months before his transfer to Chelsea- in case of Falcao, he has been getting better by the season and di Matteo has made his admiration for Falcao no secret. Athletico Madrid have also avoided playing him in the Europa League to avoid making him cup tied, which would have prevented him from playing in the Champions League, in case he made a transfer to Chelsea. I would personally want to see Sturridge given a few more matches as a centre forward, and Lukaku being re-called from the loan in case of an injury crisis over breaking the bank for Falcao, but with the new found European success, and the inflow of cash due to the same, I wonder if Abramovich will be able to stop himself from waving those blank cheques and taking another gamble.